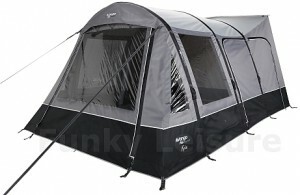 How does the airbeam Galli attac to my VW T5 which has a pop up roof? Happy. 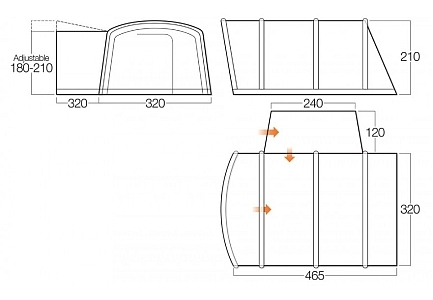 The easiest way to connect to a VW T5 with an elevating roof is to use the supplied webbing straps that clip into the top corners of the connecting tunnel. The straps pass over the roof around the front and rear of the pop up roof and are pegged down on the opposite side of the van. We have many customers who use this method to connect Vango AirBeam awnings to their vans. However, if you wanted a neater connection you would have to fit an awning rail like a Reimo Multi-Rail which runs just above the door line or if there’s enough space under your pop top you can fit a C-channel type rail. 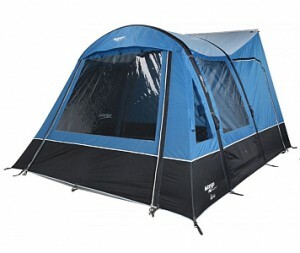 Both options would also need a 6mm to 6mm Drive-Away Kit to attach an awning. I have a 2008 SWB High Roof Vivaro. Which of your awnings will fit? 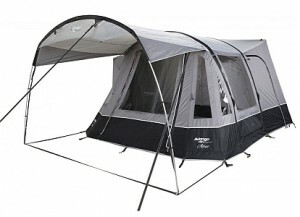 To fit any sort of awning to any make of high roof vehicle and get a good weatherproof connection ideally you will need an awning rail of some sort to attach it to. If Vauxhall don’t make an awning rail specifically for the Vivaro, we would suggest looking at the Reimo Multi-Rail or a C-channel type rail. 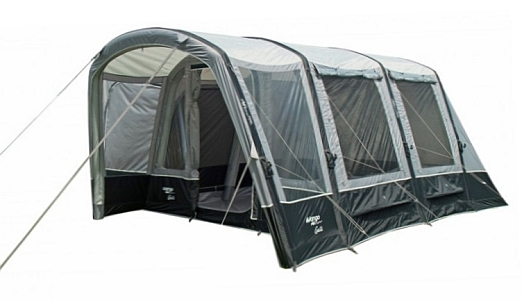 Once you have a rail fitted (ideally at least 2.5m long – just above the sliding side door) measure the height and choose which awning connection tunnel height will fit… Low: 180cm to 210cm or Standard: 205cm to 235cm. 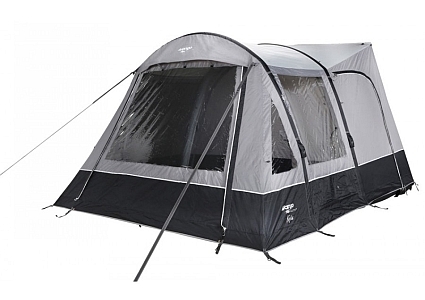 Alternatively, you could purchase a ‘Tall’ connection height awning, position the connection tunnel webbing straps over the roof and peg them down on the opposite side of your van. Some van owners are happy to use this basic connection method indefinitely. We always carry stock of ‘Low’ models but if you do decide to go for the ‘Standard’ or ‘Tall’ version let us know as we offer good pre-order discounts and can usually get them delivered within a 2-3 days.